World number one Rafael Nadal heads the other group and will face Belgian David Goffin, Bulgarian debutant Grigor Dimitrov and Austrian Dominic Thiem. 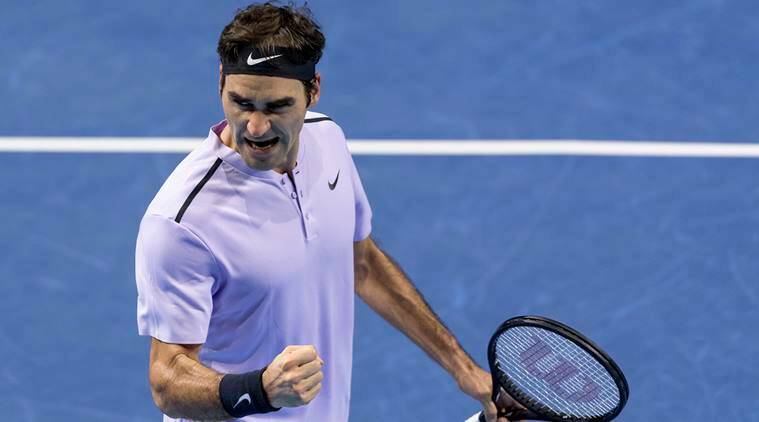 Six-times champion Roger Federer was paired in the same group as German debutant Alexander Zverev for next week’s ATP Tour Finals when the draw was made in host city London on Wednesday. World number one Rafael Nadal, who is hoping to recover from a knee injury to play in the season-ending showpiece, heads the other group and will face Belgian David Goffin, Bulgarian debutant Grigor Dimitrov and Austrian Dominic Thiem. Also in the Pete Sampras group with Federer is Croatian Marin Cilic, the man he beat in this year’s Wimbledon final, and American Jack Sock who crept into the tournament after winning the Paris Masters. Zverev, 20, has taken men’s tennis by storm this year, rocketing up to number three in the world rankings after winning five titles, including two Masters 1000 events. “It’s an honour to play there in London, it’s my first time and hopefully not my last,” Zverev said in Milan where he took part in an exhibition match at the NextGen Finals, having dropped out to concentrate on London. “I will try to prepare myself as well as I can and try to win many matches there.” He is one of three first-timers with Dimitrov finally qualifying after being long-predicted to become a regular member of the men’s elite. Sock is the first American to qualify since Mardy Fish did so in 2011. Goffin has qualified for the first time also, although last year he played a match as an alternate. The draw, which took place on BBC Radio, was delayed because Boris Becker, who Nadal’s group is named after, was held up by traffic on his way to the studio.